Pi Kappa Alpha was founded in Room 47 West Range at the University of Virginia in 1868. Since then, it’s developed into an international brotherhood and become one of the largest fraternal organizations in the world. How? It’s simple. Pi Kappa Alpha has remained dedicated to developing men of integrity, intellect, success and high moral character, and to fostering a truly lifelong fraternal experience. 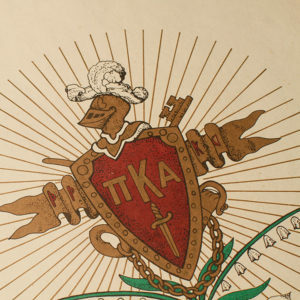 Pi Kappa Alpha is composed of more than 275,000 lifetime members, 220 chapters and 150 alumni associations in North America. In the last 10 years, PIKE membership grew by 51% and maintains the largest average chapter size of North American fraternities. Between 2014 and 2016, Pikes raised over $4.5 million and contributed 600,000+ hours in community service.